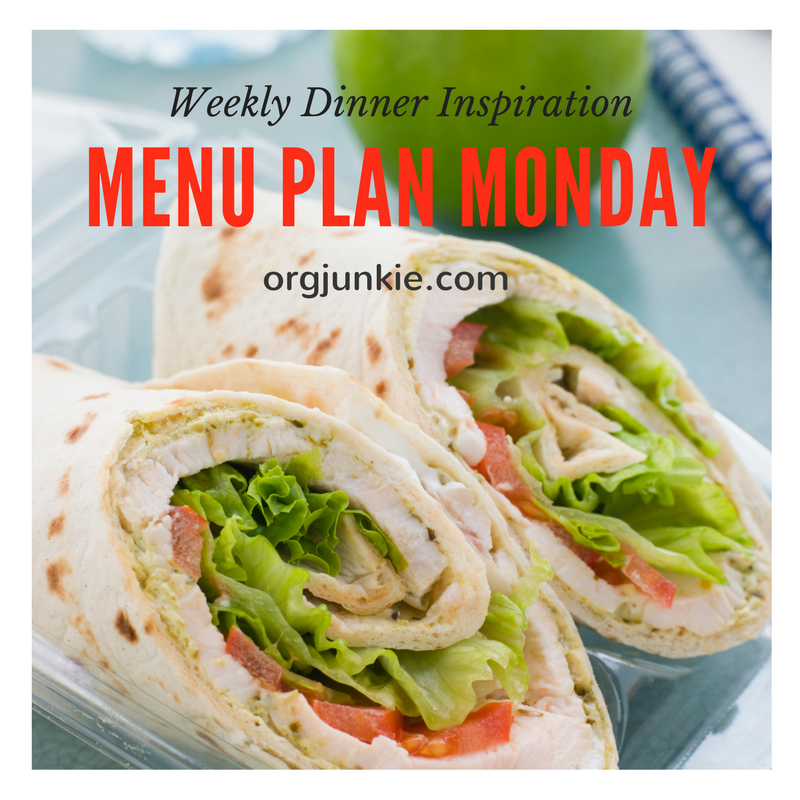 Hello my menu plan friends! I how you all had a wonderful weekend. Did you see my menu planning post from Saturday? If you struggle with creating a menu plan and need more help, I shared a really great resource with you. It’s a brand new eCourse called What’s 4 Dinner Challenge Meal Planning eCourse. Get ready to fall in love with menu planning, it really is life changing I promise you! This course is part of the 2017 Ultimate Homemaking Bundle and today is the LAST day to grab this amazing bundle of 106 homemaking resources at 97% off. It also includes over 400 recipes as well to help you plan your menu each week. And if you remember, I recently posted about why I recommend always using recipes. How awesome is that? Just remember today is the last day to get it. More information HERE. Speaking of recipes, this Slow Cooker Hawaiian Shredded Chicken that I made last week was so good and would be great for an easy company meal. Totally recommend! Wraps are such a quick and easy meal that kids like too. We have them often in spring/summer for sure!